So you know (okay, hope) that people are checking out your content. But just how are they checking it out? You can use Google Analytics to discover which browsers they’re using as well as which operating systems and devices they use to check out all your cool stuff. For example, you can figure out the percentage of visitors who use Firefox versus Internet Explorer and how much of your audience is viewing your content on a mobile device. Why on earth does this matter? 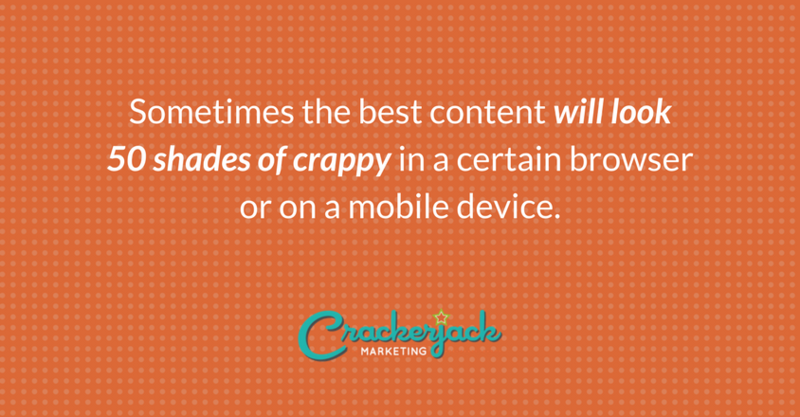 Sometimes the best content will look 50 shades of crappy in a certain browser or on a mobile device. With this information to hand, you can ensure that your content is optimized for however the bulk of your audience views it, providing the best possible experience. If you’ve listened at all to what we have to say, you have put time and effort into choosing well-targeted keywords. But what good is that if you have no idea whether your efforts are paying off. 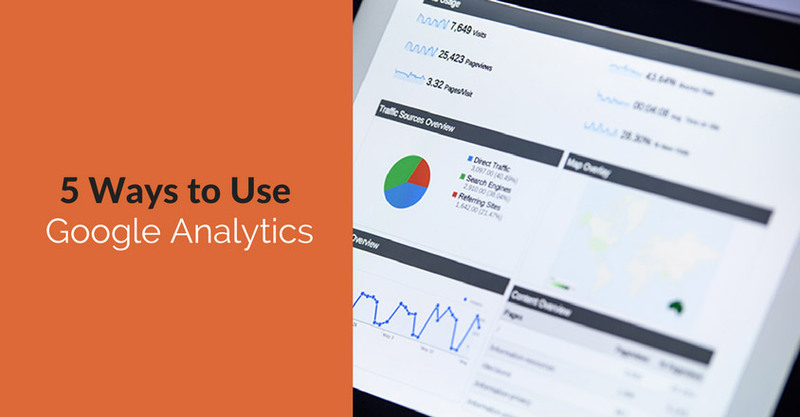 With Google Analytics, you can easily discover which keywords are sending traffic your way. Did you hit the motherload of keywords or did your choices go splat, much like a sucky movie review on Rotten Tomatoes? Why should you care? Content gets old, loses its luster, and eventually gets forgotten and ignored. Besides, you have other things to share, right? Knowing which keywords get you the customers means you can create the right new content to keep them coming. Totally bombed in the keyword department? It’s okay. It happens. Use these reports to switch gears. Thought it was only Google sending you traffic. Think again. If you have significant traffic, some of it likely comes from sites that link to yours. Google Analytics lets you know which sites are helping you get more visitors and how much referral traffic these sites are sending your way. Does this really matter? Really? Of course it does. Let’s say you contribute to the big, beautiful Blog A as well as the smaller, less flashy Blog B. You probably thing Blog A is sending you tons of traffic. After all, bigger is always better, right? Silly you. You know better than that. Google Analytics may just reveal that Blog B is referring more traffic or that they’re both duds. You want to be where your audience is, and this information will help you decide where to go. If you use Google Adsense to earn money, Google Analytics can help. You can use the report data to evaluate which pages of your site earn the most. Why pay attention? If you’re all about the money, you’re going to want to watch which of your pages brings it in. Why spend all your time mashing up potatoes when it’s the salty deliciousness called French Fries that all the kids want? Use this feature to decide where to invest your time and effort, so when you say, “Show Me the Money!” it’s more likely Google will. The Goal Funnel feature helps you analyze e-commerce transactions and evaluate the level of success you’re experiencing. It may prove particularly helpful for figuring out why some people load up their shopping carts with your products and then bail out without buying anything. Why does it matter? Duh! You want to stop your customers from window shopping on your site. Use this data to figure out how to turn more looks into buys. Take a look at your bounce rate. This indicates the number of people who stop by and visit without bothering to look at your other pages. This information might spur you to develop content that grabs their attention and makes them stick around. Filter out your own IP. Your numbers will go up if you visit your site multiple times per day and hit that handy dandy refresh button, but having your own visits included in your data won’t help you very much. Sorry. 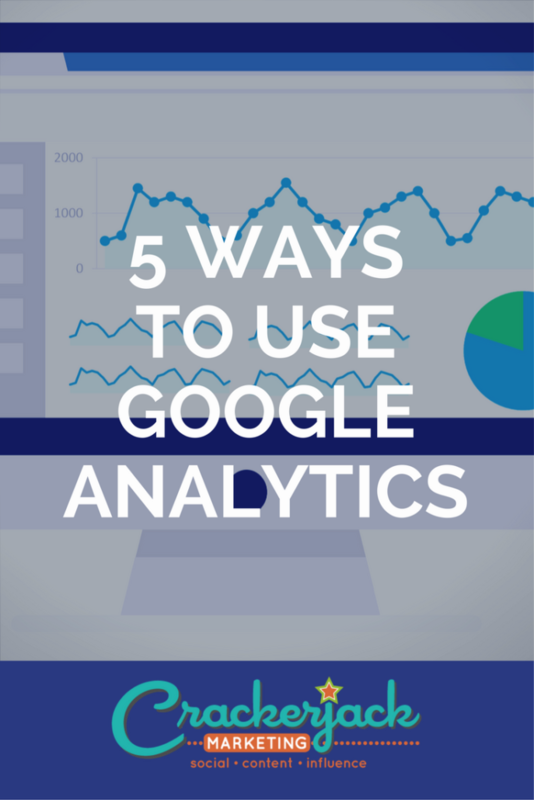 Do you use Google Analytics for your business? What feature do you consider the most helpful? Share with us!